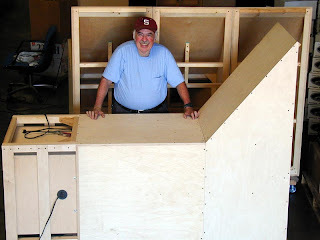 Hornloudspeaker Magazine: Edgar and Danley: Where the military get their toys. Edgar and Danley: Where the military get their toys. Years ago, I saw this picture on AudioAsylym, at the High Efficiency section. 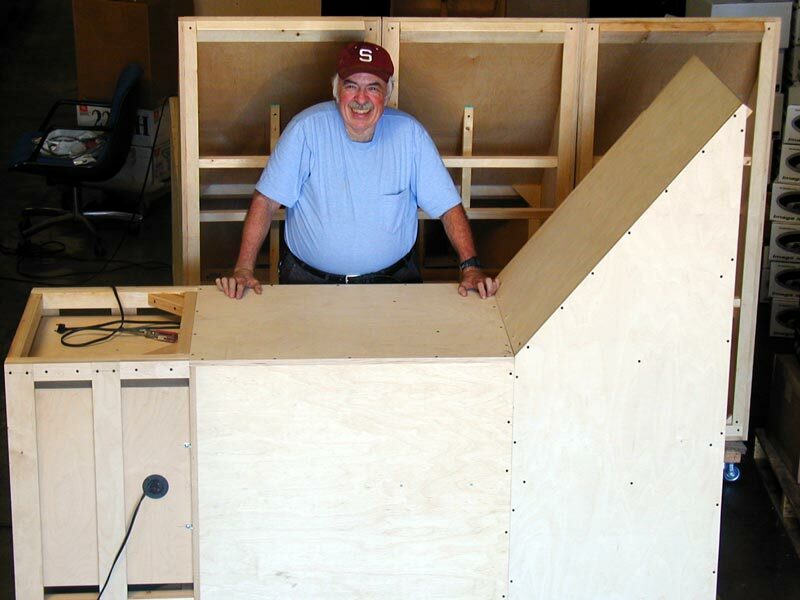 What/who you see here, is Dr. Bruce Edgar looking happy with the modular subwoofer he has built for the military. I saved the picture, but am not so sure about specific details of the desgn. As I recall, it is several of his refridgerator-sized Seismic-subs together, each extended to give greater mouth area. The military wanted something to "make big booms" and I suspect this is for training situations, exposing the soldiers to near-realistic soundlevels. Later on, we get this film, about the Matterhorn "device" by Tom Danley. Enjoy.